Before selling or upgrading your home, know the comps in your area. “Keeping up with the Joneses” has always been part of homeownership (and of life!). Well, whatever is happening at the Jones residence down the street actually is important information for you, especially when it comes time for you to sell or remodel your home. Comparables, or “comps,” if you’re hip with real estate lingo, are the gold standard for determining how much a house is worth. You should know the comps in your area, because there is so much they can tell you about what to do (or not to do) if you are planning to sell or upgrade your own home. Obviously, every home is different, with specific features that make the home more or less desirable. For example, a three bedroom house is probably worth more than a similar home in the neighborhood with only two bedrooms, so to determine a house’s value, you should only look at similar neighboring properties, and then compensate for the differences. Does one home have a pool and your home does not? Does one have killer curb appeal, but it’s actually 500 square feet less than yours? Then find the cost per square foot average in your area and increase your home’s value by that much. The most critical component to selling your home now or in the future is selecting the right price given the current conditions in your local market. You can’t just put any price on your home and wait to see what happens; you need to be very strategic. Price too high, and your house sits there and becomes a stale listing. Price too low and you are throwing away cash. The only way to know what your house is basically worth is by knowing what all the other comps in your neighborhood for sale are worth. Contrary to what our parents taught us growing up, this is one of those cases where our true value doesn’t come from within … it’s actually based on those around us. This is important for every homeowner to keep in mind as they plan remodel projects — what kinds of amenities are in the homes that are selling for top dollar in the neighborhood? If you can pick up on a pattern of interior features, you can pick up on the pulse of the local buyer. Why does this matter to you? Well, if you’ve remodeled your home in a way that makes it markedly different than all the other homes in the area, you might eliminate potential buyers who aren’t digging your unconventional tastes. Keep your finger on the pulse of what’s going on around town. Go to a few open houses, ask around, pick up brochures. Seeing what is currently on the market is an opportunity to find out what other homes have that yours doesn’t, and what your house has that they only wish they had. The asking price of a house currently on the market is just that — the asking price. 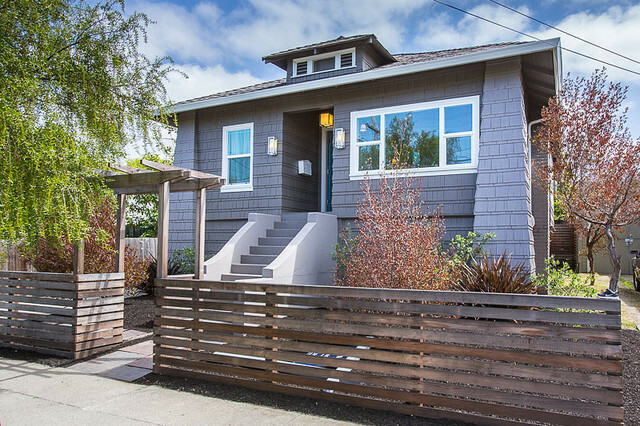 It is not what the house is really worth (in fact, here in San Francisco and Oakland, many homes are listed at a price below market in order to start bidding wars for the home). Your neighbor may think that his house is worth far more than it is and put it on the market with a too-steep price tag. Don’t be fooled into looking only at the asking prices of houses on the market. You need to look at the prices of what has sold. You’ll get a much more valid idea of pricing by examining what has recently sold rather than what is currently for sale. Knowing the percentage difference between the actual list and sale prices for the houses in your neighborhood is invaluable. It speaks volumes about the current market’s activity. Has every home sold for at least 90 percent of the asking price? Is every home getting multiple offers? This is a strong indicator of which direction the market has been moving, and will give you a clue on how much less (or maybe even more) you should price your home than current comps. The price of your home today can’t be compared to the selling price of your next door neighbor’s identical home two years ago. Prices change as the market shifts. If you’re looking at comps older than six months old, they’re no good to you anymore. Your house could be worth a heck of a lot more — or less. Carpe Diem. Find the homes in your hood that are NOT selling. You know the ones. They’ve had the for-sale sign outside for months. There’s snow from last winter in the listing photos. You have been driving by for a while thinking, “Wow, I hope my house sells faster than that.” You can learn a lot from that house that can’t find a buyer. Is it priced too high? Are there repairs that they should have made, but didn’t? How is the curb appeal? Try to get a tour of the house and see firsthand what your neighbors have done wrong — and what you can do better. What’s the most valuable thing you’ve learned about your home from your neighbors? This entry was posted in Blog, Selling a Bay Area Home. Bookmark the permalink.